There are literally dozens of reasons to join PCA, but the primary reason is the fact that affiliation with PCA gives your business added credibility to clients and customers, as well as the government. We realize that our strength lies with our member registries, so PCA offers a variety of valuable assets to help our members grow within their communities. We want registries to realize and take advantage of the many benefits of being a member of an association that focuses on your company's needs. PCA protects your business from federal government intrusion through advocacy and education. We keep you abreast of the most current news and events affecting your business model. PCA provides support to members who are engaged in advocacy at the state level. PCA provides press releases, letters to the editor, reports and other public relations materials to set the record straight on the valuable services we provide to the public. Improve the profitability of your company by taking advantage of the educational opportunities offered through PCA by attending PCA National Conferences and other events. 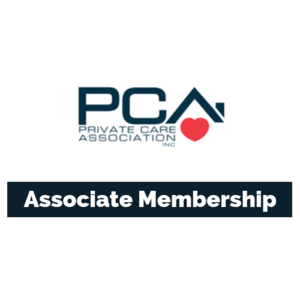 Access to the PCA E-Newsletter, which is written for caregiver registries. PCA established the now independent Caregiver Registry Standards Board that has developed a thorough and reliable accreditation program to identify those registries that maintain compliance and continuity of the industry's highest standards. Every caregiver registry is dependent upon quality goods and services from trusted suppliers of insurance coverage, legal advice and defense, computer software, etc. PCA helps you to identify partners and vendors through industry affiliate programs. Choose a membership option below to get started.